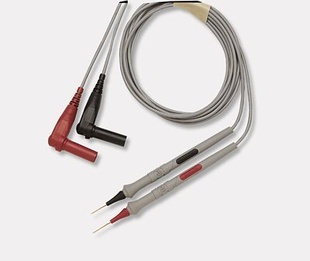 The Keysight 34133A precision electronic test leads are designed specifically for working with small components and in dense circuit boards. The test leads are small, light and feature Keysight's patented browser concept, using a crown point pogo pin. The spring-loaded tip helps absorb those small movements and the crown point digs into solder. Each kit includes two test leads (one red and one black).